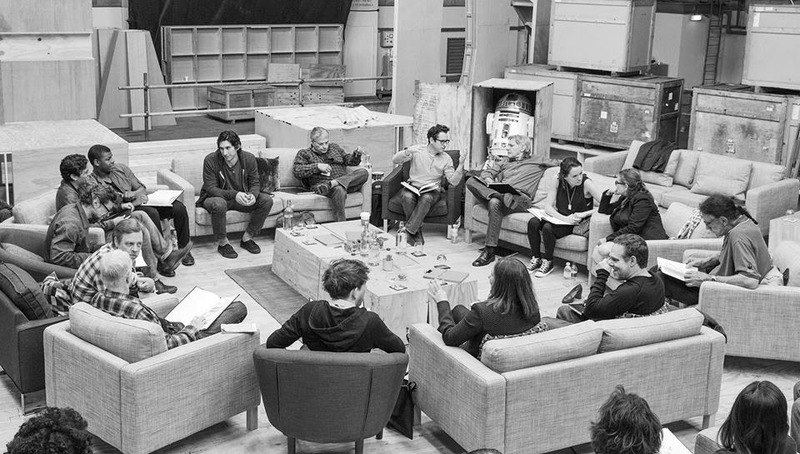 April 29th, Pinewood Studios, UK - Writer/Director/Producer J.J Abrams (top center right) at the cast read-through of Star Wars Episode VII at Pinewood Studios with (clockwise from right) Harrison Ford, Daisy Ridley, Carrie Fisher, Peter Mayhew, Producer Bryan Burk, Lucasfilm President and Producer Kathleen Kennedy, Domhnall Gleeson, Anthony Daniels, Mark Hamill, Andy Serkis, Oscar Isaac, John Boyega, Adam Driver and Writer Lawrence Kasdan. Copyright and Photo Credit: David James. Okay... So I've known of Episode VII for a while now, and I've been mildly excited/interested. But today's official casting announcement got me right in the nerd. When they first announced the new movie, I didn't REALLY care. I followed all that prequel crap, getting all excited, and then hit the brick wall of "The Phantom Menace". Needless to say, getting all geared up about another trilogy just wasn't going to be in the cards. 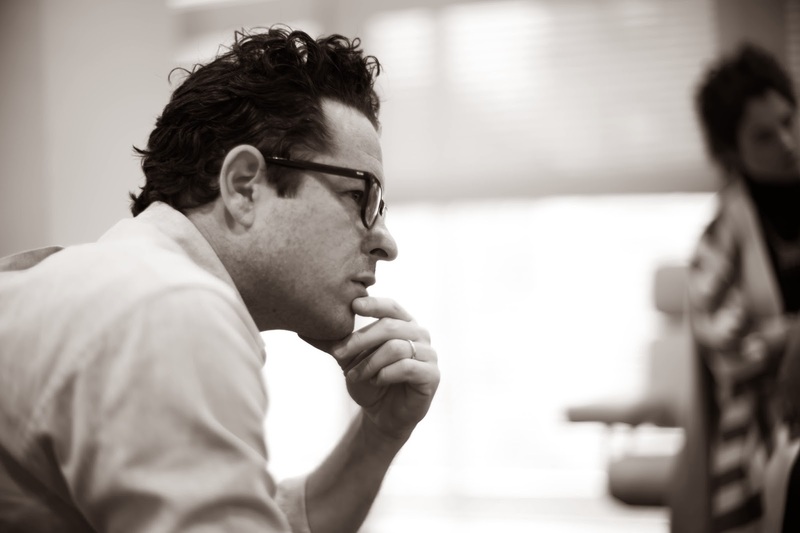 Then they announced JJ Abrams. Now over the last year or so I've really become infatuated with prop making, and spending a lot of time on the Replica Prop Forum. It reminded me of the artistry in the old model making, practical effects, etc. So I got a little MORE excited when this image popped up. 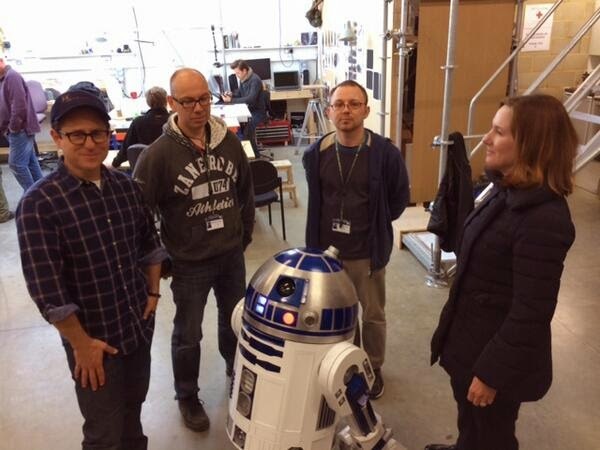 That is Abrams and Kathleen Kennedy (Head of Lucasfilm) standing with an R2 Unit created by Lee Towersey and Oliver Steeples, heads of the R2 Builders group. These two have spent years studying on screen R2-D2, and now will be building them for the new flick. A non CG R2? Is Abrams really focusing on less green screen and more "practical effects"? Then came the rumored signing of Adam Driver from "Girls"... a sign they aren't going for pretty boy, popular actors. This guy is great on Girls as Adam, the kind of crazy boyfriend to Lena Dunham's character, Hannah. The casting of Mark Hammil, Carrie Fisher and Harrison Ford was heavily rumored, but not locked... until today, when Adam Driver was confirmed as well. And on top of that you get Andy Serkis (Gollum), and Max von Sydow (The Exorcist)... Along with some other returning players - Kenny Baker (R2), Anthony Daniels (3PO), and Peter Mayhew (Chewie). There were a couple of others I haven't heard of, including Daisy Ridley, who is rumored to play Han and Leia's daughter..
Officially excited for this flick to hit the theaters.